It’s so nice to cool off in the the summer with a virgin pineapple and coconut smoothie that can be enjoyed for breakfast, as lunch, or just a mid afternoon drink. When I drink this it makes me feel like I am on a tropical island. It’s best to sip it slowly while sitting in a garden, or on your porch or at the cottage. Blend all of the ingredients in a high-speed blender. You can add more non-dairy milk gradually if the mixture is too thick, until you reach the desired consistency. I can’t wait to enjoy another one of these treats. 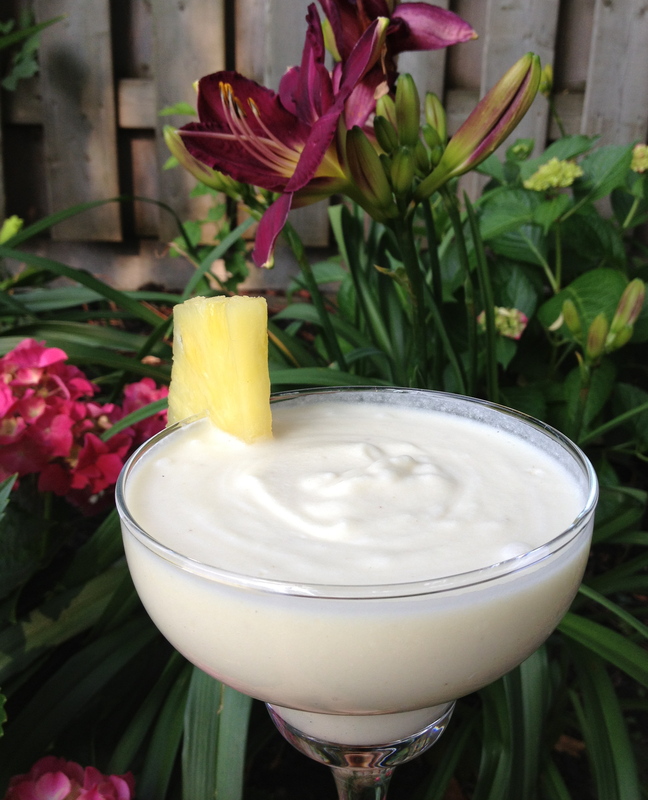 This entry was posted in Beverages, Recipes, Smoothies and tagged coconut, pinacolada, pineapple. Bookmark the permalink.